The September 6 timeline for the 2×2 talks between the Indian and US foreign and defence ministers was approaching fast. This is a postponement of the July 6 meeting. Because of preoccupations of Washington at the time, the US secretary of state Mike Pompeo in particular — whose agency conducts America’s foreign affairs — found on the eve of the visit by Messrs Sushma Swaraj and Nirmala Sitharaman to Washington in July that the Trump administration had not addressed the growing doubts and skepticism in Delhi, occasioned by possible CAATSA sanctions, about the advisability and benefits of getting close to the US which the American ambassador Kenneth Juster in Delhi had warned could become a stumbling block in 2×2 forum. So the two month period was sought by Pompeo to try and see what could be done to retrieve the situation by giving evidence of US good faith. 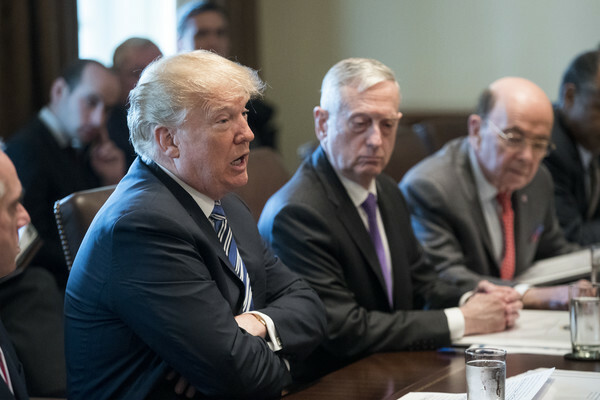 With the 2012 Defence Trade and Technology Initiative (DTTI) having produced nothing in the last six years but hot air, and with Mattis’ and Juster’s concerted pushing, Pompeo got the Trump White House to approve the Strategic Trade Authorization (STA)-1 status for India, because Washington has long been aware that Delhi can be pacified with symbolic gestures. There’s much glee hereabouts that Pakistan and China are no part of the STA-schemata. Such are the small things Indians are happy with. STA-1 is just a symbolic gesture because all it does is merely enlarge a little the list of technologies India can access — NOT open America’s advanced technology shop for the Indian MOD and military to raid as uninformed Indian press and media elatedly implied. The MEA pitched in, with the idea of providing a fig leaf, saying it would help promote defence technology cooperation under the aegis of the so far barren DTTI when the real US purpose behind according India STA-1 standing is to prompt the sale of more high value military goods to this country. In theory STA-1 will allow India the same access as NATO allies, Japan and South Korea. In practice, no cutting edge stuff will be made available. Just to prove what I am saying the Indian government should try asking for the Globohawk — the long duration flying armed drone. As technologies go, it isn’t at all cutting edge — but Delhi will discover it can’t get it. Why, because that will loosen the already tenuous bonds with Pakistan, which Washington cannot afford, not if it is serious about persisting with its hopeless strategy of militarily defeating the Taliban in Afghanistan. Nor will the US countenance the transfer the “know why” for combat aircraft design — the source codes and operational algorithms, etc. or for designing and producing combat aircraft jet engines. Or, the silencing technologies for submarines. Or,…. But the Indian ambassador Navtej Sarna piped up to extol this development as “a sign of trust not only in the relationship but also on India’s capabilities as an economy and as a security partner, because it also presupposes that India has the multilateral export control regime in place.” Mind you, the export regimes Sarna is referring to are the missile technology control regime, the 2008 civilian nuclear deal, and the Wassenar Agreement, that Delhi has signed, even when aware that this put legal clamps on India exporting even indigenously designed and developed sensitive goods and technologies to countries that the US feels shouldn’t have them. India is thus compelled to conform to Washington’s threat perceptions and to follow its policy dictates at the expense of its own national interest, technology leverage and foreign policy options which India could otherwise have exercised. What is the flip side of more monies to fund the larger volume of imports of military armaments and technologies? Yes, you guessed it — something I have been hammering away at in this blog — the throttling of funds for indigenous R&D projects and programmes, turning a potentially vibrant defence industry in the private sector into another link in the global supply chain — and all to make financial room for more extensive arms imports. This is how the killing of the national effort at arms indigenization and achieving self-sufficiency in weaponry will be furthered. And the twin meta-strategic goals of crowding Russia out of the Indian arms market and replacing it with America as India’s main military supplier, and keeping this country forever an arms dependency, accomplished. Strange to think that Modi was voted to power as a nationalist! This entry was posted in arms exports, asia-Pacific/Indo-Pacific, Asian geopolitics, China, civil-military relations, Decision-making, Defence Industry, domestic politics, DRDO, Europe, Geopolitics, Great Power imperatives, India's strategic thinking and policy, Indian Air Force, Indian Army, Indian democracy, Indian ecobomic situation, Indian Navy, Japan, MEA/foreign policy, Military Acquisitions, Military/military advice, Northeast Asia, Pakistan, Relations with Russia, Russia, South Asia, Strategic Relations with the US & West, Technology transfer, United States, US., Weapons. Bookmark the permalink. There is something tragically comic about the elected leaders and bureaucrats of a country, with more than a billion people, spend a fortune trying to buy used underwear from the west. As I might have said earlier, they are like a stupid child who will willingly lick the outside of a garbage can in the hopes of being accepted by all the “cool” kids. And all this while ignoring, belittling and destroying their own people who could develop and build quality indigenous products- and employ others in nicely paid jobs. Then again.. maybe some people live to buy used underwear and lick garbage cans. A distant observer might come to the conclusion that political leadership class of India (irrespective of party affiliations) and bureaucracy exist solely to keep India poor, servile and dependent on the west. As far as Modi and the BJP is concerned, they seem to more interested in protecting cows, stopping people from eating meat, enriching their select corporate patrons and selling off Indian interests to whoever provides them the best photo ops, made-up ‘international’ awards and sinecures. It certainly does not help that no other major political party has leadership with strategic vision or a spine. Just by importing weapons any COUNTRY can safe gaud herself ?? Sir in short if any indian prime minister order military to vacate jammu and kashmir and decides to give freedom to jammu and kashmir .Will indian military obey him and rebel against such government. Sir if any indian prime minister order to military vacate jammu and kashmir. Will indian military obey him or rebel against him. Please correct important Typo in an otherwise stellar post. My wrong, Text corrected. Thanks. any news about S400? will india going to buy it? Yes, India will buy the S-400 – as a sop to Russia. Do you think Pentagon will agree to sell the RQ-4 Global Hawk without us signing the COMCASA? Since Northrop Grumman has finally convinced Pentagon to allow it to sell its “magnificent” YF-23 Black Widow tech to Japan, do you think we should tie up with the Japanese,for our FGFA programme? If Northrop helps Tokyo build a fifth gen fighter with YF-23 tech and that along with Mitsubishi’s experience with the X-2 will lead to a truly remarkable fighter. Since the Ruskies aren’t getting anywhere with their SU-57s and given Shinzo Abe’s liking for Modi do you think we can pull it off? So is this already happening? One cannot help but notice the uncanny resemblance of HAL’s FGFA to the X-2 Shinshin. Whether we need it or not. Best way to ensure that India does not get the right thing is to ensure that India gets the wrong thing. How many decades is Russia away from making anything like Global Hawk Drone ? India can make low to medium tech weapons on its own.We only need to import very high tech weapons, which only Americans have.So it is a good relationships.Without Jettisoning the Russians, India can never develop its defence industry because in order to maintain good relations with Russia India has to buy Weapons from Russia. India has more or less reached the level of tech where Russians are. ” India has more or less reached the level of tech where Russians are.”!! I was particularly hit by Mr Karnad’s line ” Strange to think that Modi was voted to power as a nationalist!”. As far as the political loot is concerned, that is, ill gotten gains by political parties when is power (Arms imports are the biggest political loot). That loot remains with the politicians irrespective of party affiliations. The Dhingra commission is a case in point. I could go on and on. To any political party, its own survival is its first instinct. To hell with the nation. Furthermore, in an interesting point raised by a reader, If you think the Indian Armed Forces will act in any way to prevent separation of J& K from India against the wishes of the politician, you are living in cloud cuckoo land. As far as weapon tech is concerned, if you can be the only country in the world to hit Mars in the first shot you already have the capability of weapon tech. Weapon tech is not rocket science. Just elbow grease. “Weapon tech is not rocket science. Just elbow grease.” yes, indeed. But the problem is we are a “Socialist” state. We have a pathological dislike for capitalism. And Defense PSUs are the crown jewels of a Socialist state. When all that the ever growing middle class has is the insatiable LUST for government jobs, i don’t think any party irrespective of its strength in the parliament will dare to disinvest these white elephants to let the private sector pitch in. These wretchedly subversive DPSUs routinely underbid to win orders and keep the private sector out. The state of affairs is unbelievable. My perspective is that there is a part of the US which is beneficial to India, and then there is a part of the US which is inimical to India. The Russia-baiting Atlanticist lobby inside the US are particularly inimical to India, because their never-ending jihad against Russia has only increasingly driven Moscow into Beijing’s arms, which is really bad for India’s interests (it’s also contrary to America’s own interests, but their die-hard Cold War lobby simply just don’t care). Meanwhile, the rise of an anti-Globalist backlash under Trump is potentially an opportunity to disrupt the traditional Atlanticist hegemony which has entrenched itself in the US over the past 70 years. The Trump whitehouse is more alive to the threats posed by the rise of China, seeing them as a more pressing issue than Russia. That being said, we all understand the areas where Trump & Co diverge from India, which is mainly on issues of global trade and market access. That’s where we may also have to look beyond the US to diversify our trade basket. While I agree that the past track record of India-US interaction leaves a lot of room for trepidation, I feel that India shouldn’t lose the opportunity to engage with the Trump administration, due to the latter’s break from past destructive patterns of US behavior. We should however do so with eyes wide open, aware of the fact that the old negative patterns may likely be resumed when Trump and his acolytes leave office. Perhaps then instead of thinking of “Indo-US partnership”, we should think of India hooking up with particular elements in the US like Trump & Co, who are distinct from the opposing faction of Atlanticists which eulogize Europe and a Euro-centrist foreign policy. India just simply is not yet strong enough or developed enough to just go it alone and be aloof and alone, standing as its own separate pole of power. We’re going to have to take advantage of opportunities for tie-ups whenever they present themselves, instead of turning up our noses at them to cast them aside. Beggars like ourselves can’t be too choosey. As far as impacting relations with Russia is concerned, we should be transparent with the Russians on our motives of aligning with the sub-section of Americans whose worldview benefits India, even while we reject the American factions having a worldview that undermines our interests. Perhaps all nations who suffer from the negative effects of the Atlanticist grip on US politics, whether Russia, or India, or even Japan, should coordinate a common strategy. In this regard, I feel that our own interests and Russian interests are sufficiently congruent that they will see the longer term mutual benefit of such a policy. I have a relevant question to ask. As you know, Indian election season has more or less started, in preparation for the 2019 general election – and we now see Wikileaks suddenly exposing unflattering information on Sonia Gandhi’s govt. Given certain controversies swirling around Russia, is there any possibility of Russia attempting to interfere in Indian elections? Is there any possibility that in its desperation to try all avenues to escape the difficult predicament of unrelenting US hostility and sanctions, Russia may perceive a swing-state like India as a “low-hanging fruit” which can be “nudged” in certain directions that are beneficial to Moscow? But i am not denying the effect of real on ground drama by politicians. (Like Rahul baba getting married to a high caste Hindu girl in a orthodox ceremony exposing his janu(Ceremonial thread) to woo higher caste Hindus who are currently dead against him.) Or Rahul baba faking an attack on him etc.These types of nudging not withstanding,majority of Indians are not susceptible to electronic nudging(yet). Let me give you another example subtle non-electronic nudging failing:You remember how the AAP started its unique campaign back then, with their printed caps,brooms etc. This is where the diversity of the Indian subcontinent throws every calculation out of he window. For Delhites Kejri’s printed cap,unpolished “common man’s” image, IIT education was enough, but for India these credentials were not enough and incidentally worked against him. Apparently Indians in rural India took him for a fraudster for his printed cap,unconventional looks and discourteous language. Electronic nudging has a very long tiresome Himalayan trek called Indian conservatism to complete to be relevant in India. I’ll agree that Kejriwal and his AAP look very conspicuously like foreign agents. The emergence of his party from nothing seemed reminiscent of various externally-sponsored revolutions in other countries. The lack of a coherent ideology among the AAP made them look like an ad-hoc levée-en-masse group of conscripts. The conspicuous zeroing-in on Delhi, the national capitol, seemed geared to achieve national-level leverage from the get-go. Kejriwal’s hyperaggressive political stuntsmanshp and brinksmanship also seemed to be unseemly and externally driven. The machiavellian behaviour of ousting the co-founding party members through internal coup blew off any figleaf of liberal principles. Their aloofness from the Muslim lobby in particular gave an odour of a US-leaning alignment. Fortunately, the uncharismatic Kejriwal and his AAP have no natural base, and their party is already disintegrating with internecine fighting, including the recent breakoff of its Punjab faction. I’ve been to pro-Khalistani gurdwaras and events with pro-Khalistani activists wearing AAP badges and banners. They were purely interesting in promoting AAP as a vehicle for their own agenda. There was never any chance that Kejriwal would have been able to keep his assorted herd of aroused rabble corraled and intact. Just saw your upcoming book listed in Amazon, slated to be released in Aug. 15. Have to ask any special reason to release it on Independence day. Is this your way of telling how the Indian policy makers should go full independent in their thinking regarding Defense, Foreign policy etc. and not be dependent over others to become a great power. Well, Penguin chose the right day!